These 36" green looped end mops will fit any standard 5" x 36" dust mop frame. This case of 12 mops is made from traditional long, stapled, tightly twisted virgin cotton yarn. 2-ply loop-end cotton yarn construction prevents fraying and raveling. Slip-on slot pocket; easiest and fastest method to secure dust mop to frame. Loop-end yarn makes laundering easy. Quick-dry synthetic backing. For other options, including individually sold mops, please check out our full line of dust mops. Customers who were interested in the 36" MaxiDust™ Green Cotton Looped Dust Mops - Case of 12 were also interested in the following items. 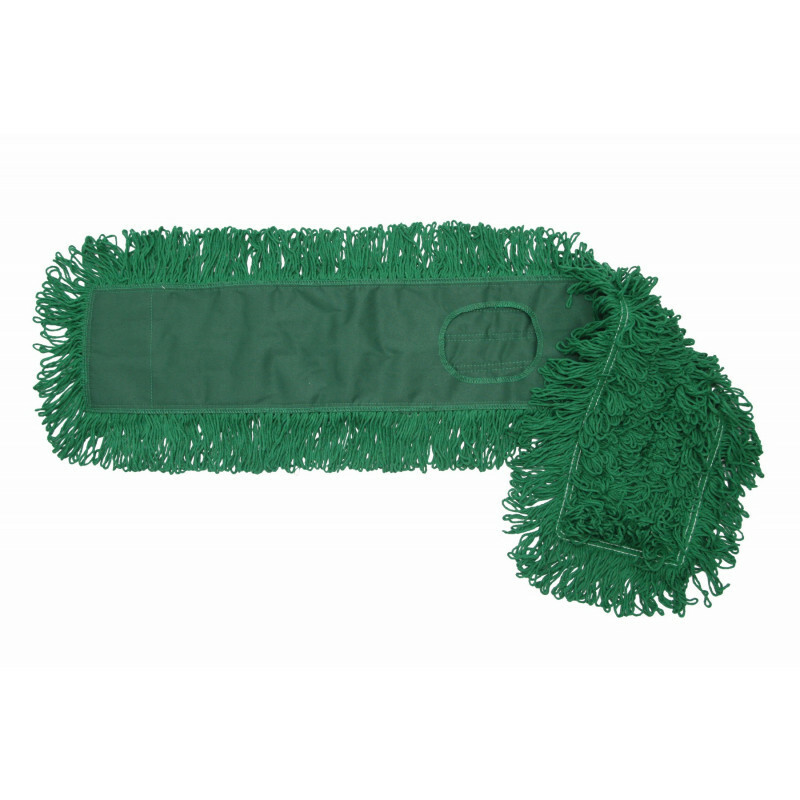 This is a review for the 36" MaxiDust™ Green Cotton Looped Dust Mops - Case of 12.